A great Christmas - New Year idea holiday in Umbria will give you a taste of a typical Christmas in Italy In Umbria, better than anywhere else in Italy, the food traditions have been deeply respected and kept for centuries. At the fall seasons and before celebrating Christmas during the Advent period, Umbria becomes magic ! Christmas and New Year in Umbria reserve you many surprises and many opportunities to experience unforgettable moments. 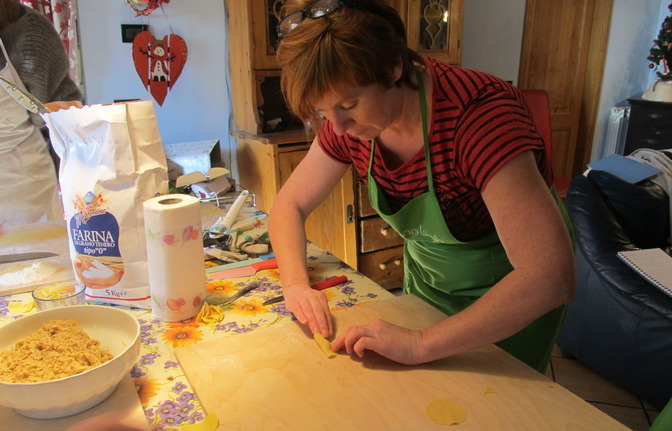 Every day is packed with cooking classes in the farm and tours. 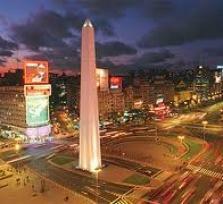 We want our travelers to experience the fun of cooking and travel in a land known for its “food culture” . 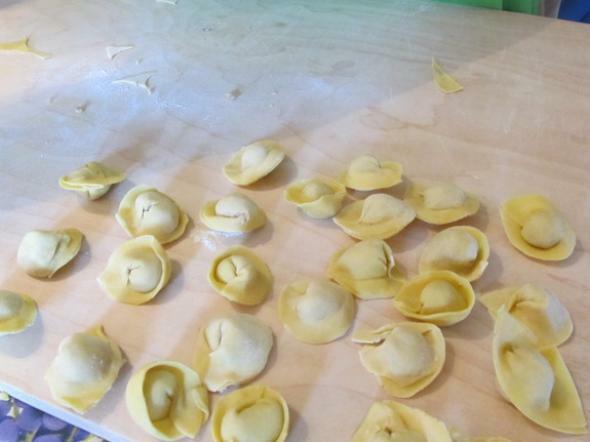 In the cooking classes pasta, pizza, gnocchi are homemade, the olive oil and the wine are produced from the farm's own trees. 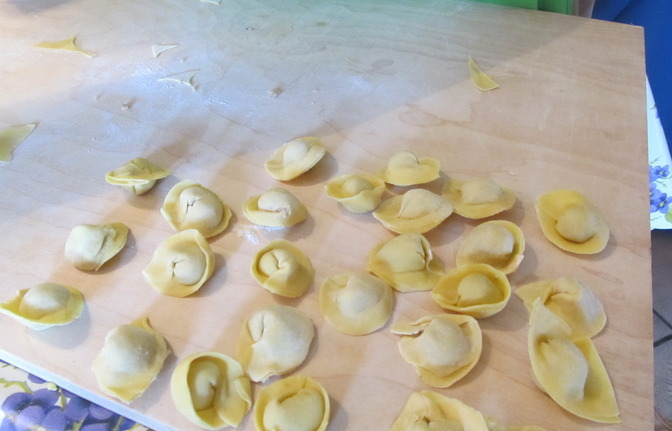 We will teach you traditional Italian techniques of cooking and its history. The tours are mainly focused on the religious ceremonies, historic commemorations and folkloristic events typical of this magic period. You will have accommodation in the apartments of the farmhouse "La volpe e l'uva". It is in the beautiful heart of the Umbria valley, sourrounded by 10 hectares of olive groves, vineyards and fruit trees. Six independent apartments have been restored around the ancient stone house, which dates back to the 17th century. It is only 4km far from the historic centre of Perugia and offers a suggestive view of the Umbrian hills. DAY BY DAY ITINERARY OF THE CHRISTMAS TOUR Thursday 27th December - Arrive in Perugia Arrival at the country farm "La volpe e l'uva" (Perugia, Central Italy, Umbria, near Tuscany). Check-in your apartment at 4:00pm. 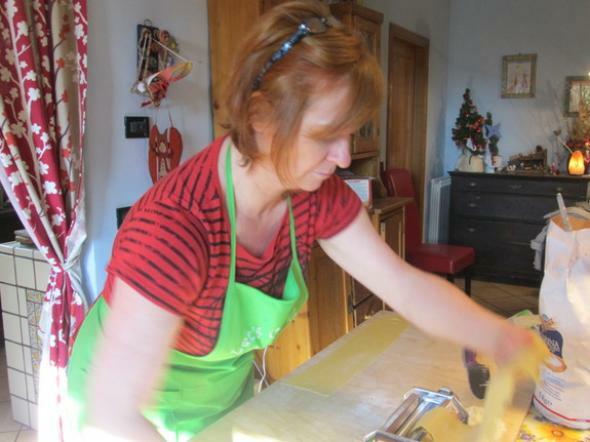 Friday 28th December - Assisi Hands-on cooking class starts around 10.00 am. You will prepare a four course lunch that you will eat at the end of the class, accompanied by our wines. 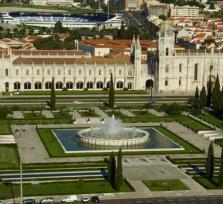 The excursion takes place from 15.00. You will visit the mystical city of Assisi, a beautiful medieval town based on Mount Subasio, overlooking a peaceful Umbrian landscape. 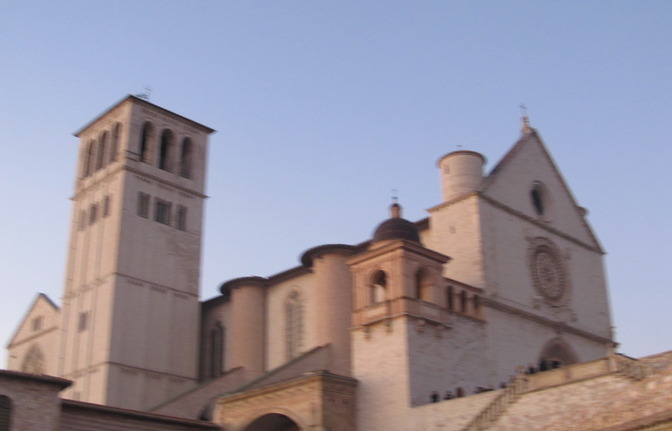 Assisi is essentially known for the fact that it’s the place of birth of St. Francis in and that of Santa Chiara. 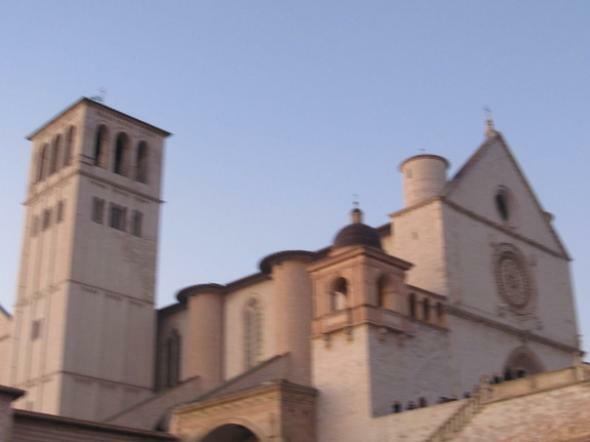 You will visit the city and the famous churches like the St. Francis Church filled with spectacular frescoes by Giotto, and also the Eremo delle Carceri (a peacefully isolated church and monastery in the wooded slopes just outside Assisi's walls, this was the first monastic home of St. Francis' and his followers) and the St. Damiano church (A church and monastery outside the city walls is where the crucifix spoke to St. Francis, prompting him to repair it and begin his ministry. Later, St. Clare died here). 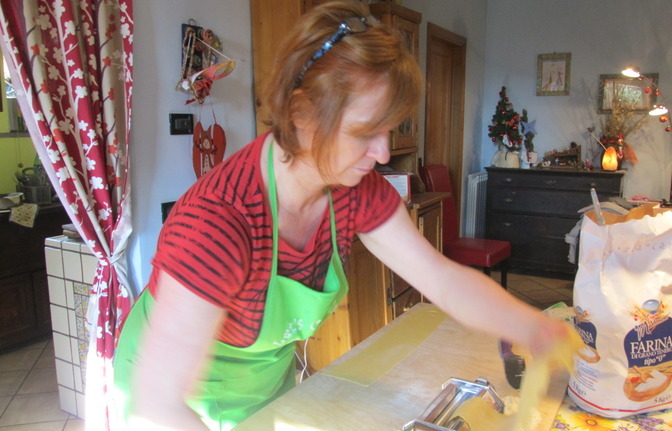 Saturday 29th December: Gubbio Hands-on cooking lesson starts around 10.00 am.You will prepare a four course lunch. For lunch you will eat your creations in your apartment accompanied by our wines. 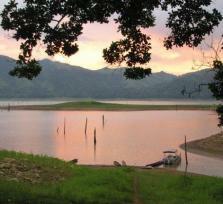 The excursion takes place from 15.00. 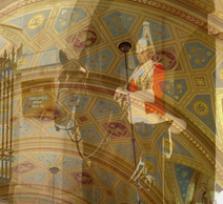 You will visit Gubbio. Lying on the slopes of Monte Ingino, it is one of the most ancient towns of Umbria, extremely well preserved during centuries and rich of monuments testifying its glorious past. Here in the Christmas time you can see the Christmas tree which every year in the evening on 7 December, Immaculate Conception eve, lights along the slopes of Monte Ingino. It is the biggest tree in the world, by now a real symbol of Gubbio. It rises from the last stone houses of Gubbio up to the basilica of S. Ubaldo, the patron saint of the town, close to the place where, till 10 January, shines the star of Bethlehem which completes the tree. 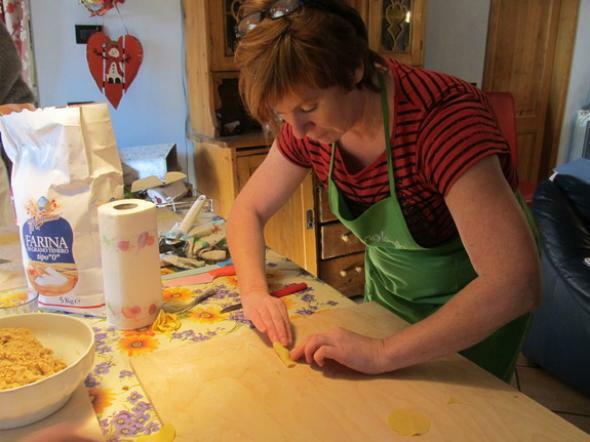 Sunday 30th December- Deruta ceramic and wine Hands-on cooking lesson starts around 10:00 am. You will prepare a four course lunch. For lunch you will eat your creations in your apartment accompanied by our wines. The tour take place from 15.00 to 19.00. You will visit a ceramic laboratory in Deruta where the majolicas are completely handmade. Their high quality producs keeps the tradition alive and evokes the classic decorations of the various periods of Deruta. The production cycle is completely carried-out within the company and rigorously worked by hand in all its phases. Than you will have a wine tour in a Winemakers Company near Perugia. It is a vineyard under family management, which with special care from their very own vines, produces D.O.C. Colli Perugini and IGT dell’Umbria white, red and rosè wines Monday 31th December - Perugia 10.00pm You will visit the historic city centre of Perugia with a guide. In the evening I will reserve for you a restaurant in the city centre where you will have the new year dinner and you will see all the exhibitions for the new year Tuesday 1st January: Departure.